Culture heavily influences human–computer interaction (HCI) since the end-user is always within a cultural context. Cultural and informational factors correlate to jointly influence the look and feel of interactive systems, e.g. widget position or information density. Every single individual also develops a specific culture (eating style, walking style etc. ), i.e. characteristics and behavior as well as attitudes and values. 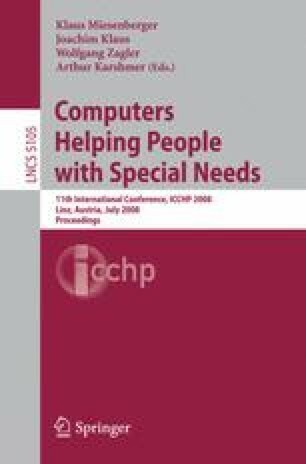 Consequently, individual adaptability can be essential to cover individual needs of the culturally but uniquely imprinted end-users with special needs e.g. reducing the workload by recognizing and knowing the individual expectances of the end-user. This improves usability and leads to shorter training and improves universal access.